Looking for flights as usual? Here is a great set of domestic airfares from Cheapoair you have to take a look at. With prices starting from only $134 you can travel all over the US from Los Angeles to Boston and from Seattle to Orlando. There are some great vacation spots among the flight destinations that you should consider if you are planning a holiday. You could travel to Myrtle Beach and enjoy long days of bright sunshine or to Boston for a romantic vacation among the historical buildings of the city. 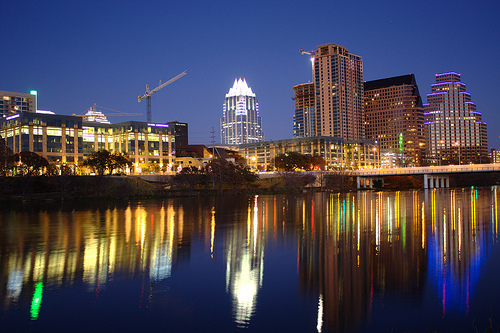 Become a cowboy in Austin or a kid in Orlando’s Disneyland for a few days, all you have to do is grab one of the discount domestic round-trip flights offered. Some of the best fares of the deal set are: Denver to Austin for $134; Denver to Phoenix for $136; San Francisco to Los Angeles for $153; Detroit to Myrtle Beach for $186; Los Angeles to Seattle for $192; Orlando to Atlantic City for $195 or Chicago to Las Vegas for $285. These are just a couple of examples, but many more routes are available. Book now one of Cheapoair‘s flight deals and get an extra discount of $15 off of any flight using the coupon code NY15. You can book by June 14 and travel through July 31. The prices include all taxes and fees, but the tickets are non transferable and non refundable. Holidays and weekends may have surcharges, so try to fly on Tuesday, Wednesday or Thursday to get the lowest rate. Have a nice vacation! This entry was posted on Thursday, June 9th, 2011 at 1:13 am and is filed under Airfare Deals. You can follow any responses to this entry through the RSS 2.0 feed. You can leave a response, or trackback from your own site.